Morgans Jeweller is a family owned & operated Jewellery store. The Morgans family offer Stafford City shoppers a unique, specialised jewellery experience. We custom make fine diamond & precious gem peices of Jewellery, from a bespoke engagement ring to an anniversary present that says ‘I love you’. 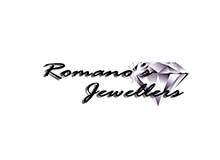 We carry a range of high quality 9ct & 18ct gold & sterlingsilver jewellery crafted in Australia & Italy finding something special is guaranteed. Watch & Jewellery repair service offered. Brisbane’s best & largest range of Franz Porcelain.